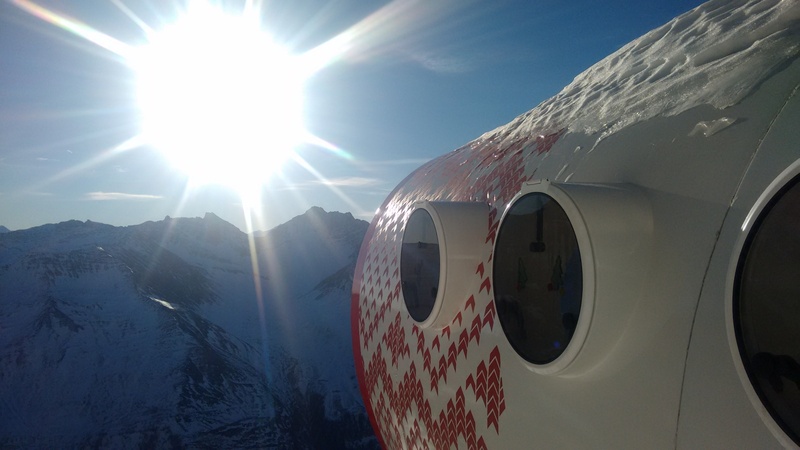 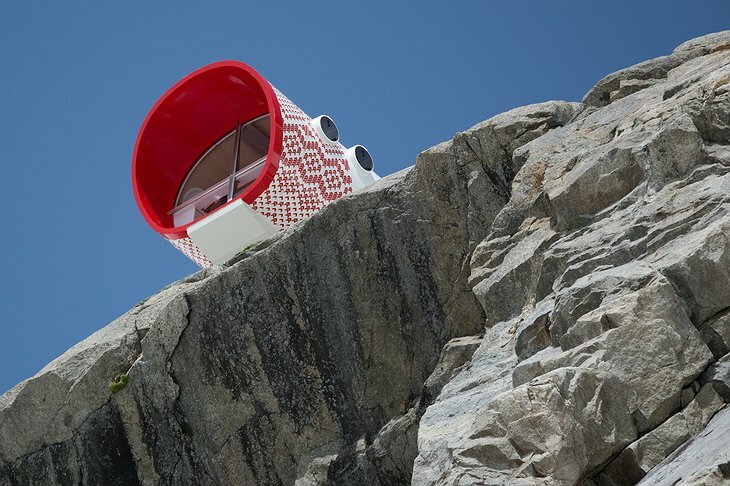 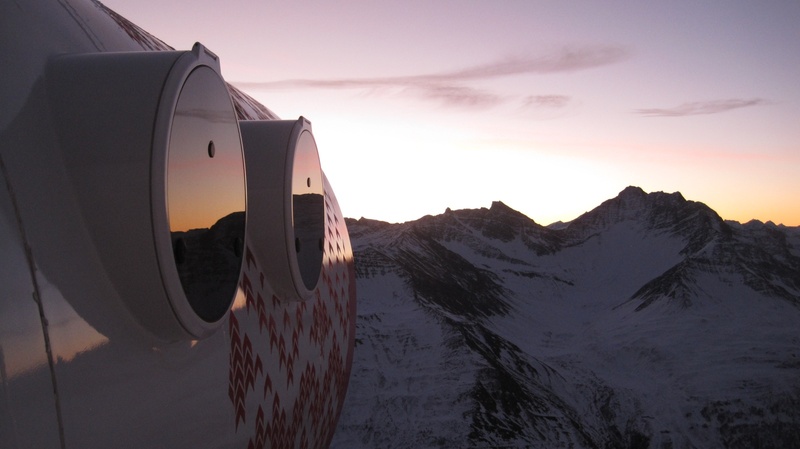 Looking to spend a night or two in a space-age capsule that appears to be teetering off the edge of a cliff? Set 9,300 feet (2,835 meters) above sea level on the Frebouze Glacier in the Mont Blanc massif in Italy, Bivacco Gervasutti, named after the Turin-born Alpine climber Giusto Gervasutti, replaces a modest wooden shelter built in his memory in 1948. 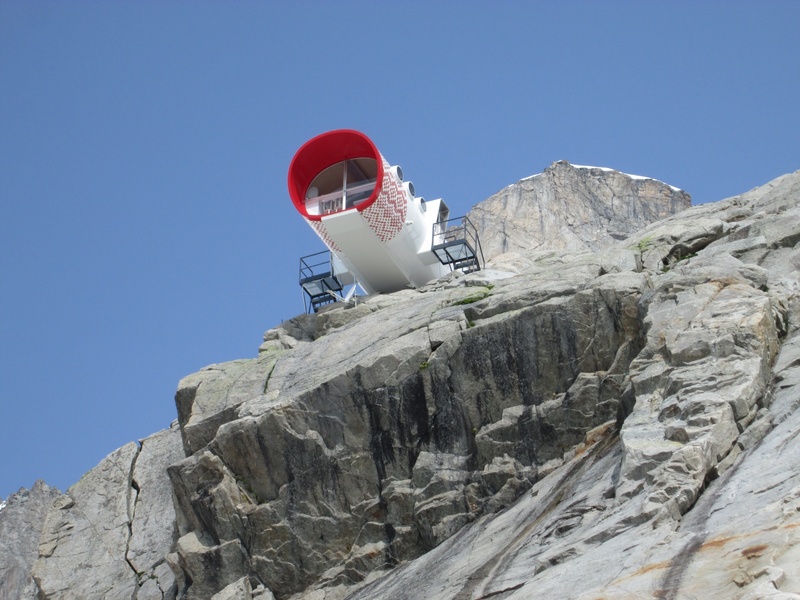 Mont Blanc, literally meaning “White Mountain,” has the highest peak in Europe and lies in a range that spans Italy and France. 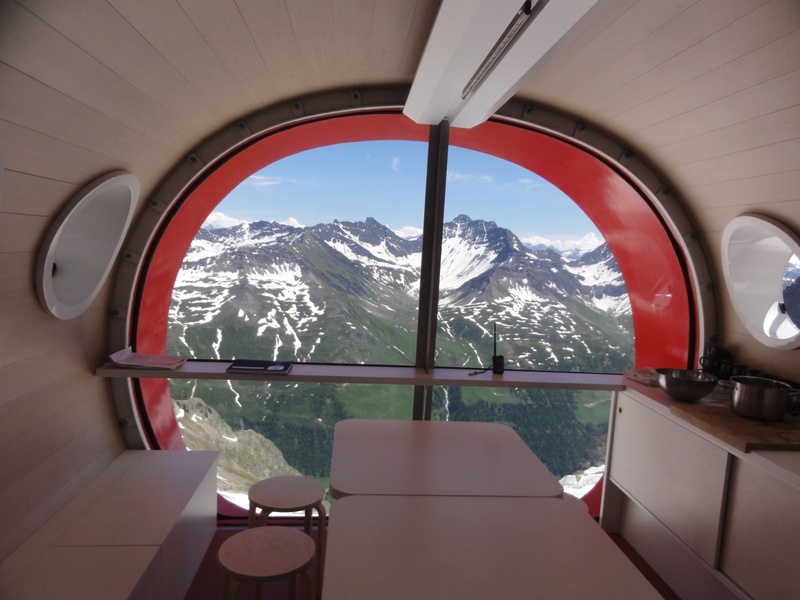 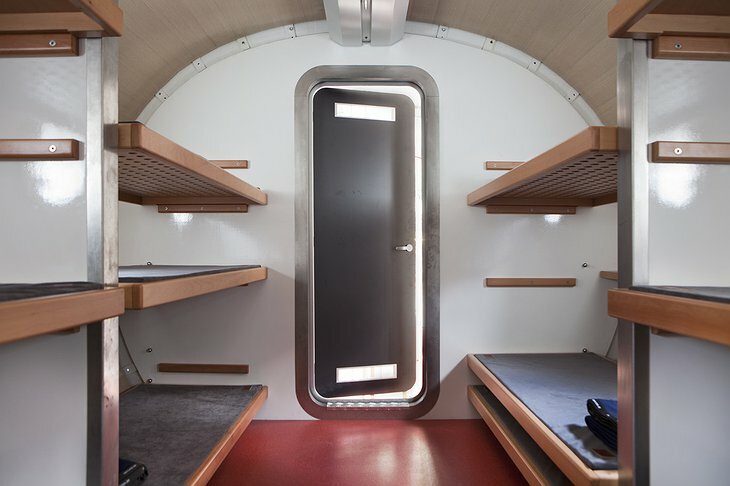 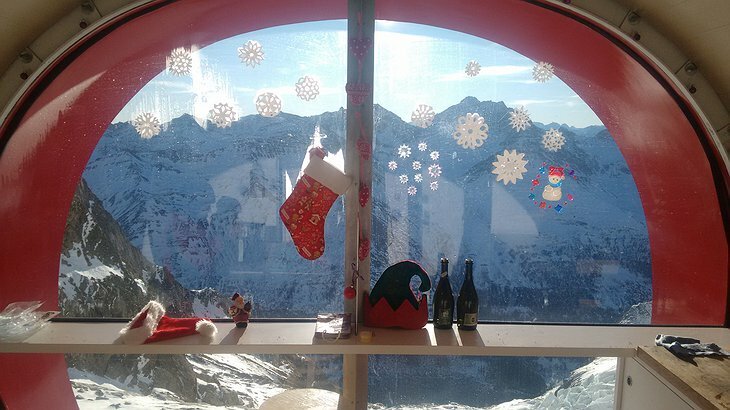 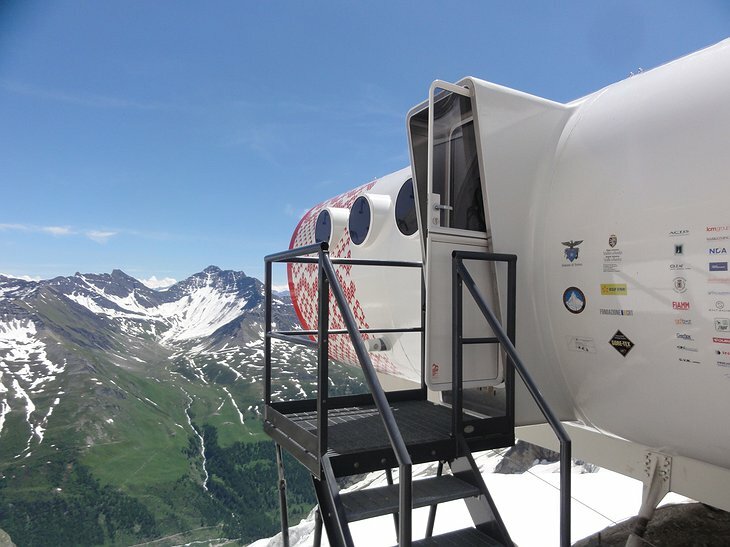 A popular spot for hiking, skiing and snowboarding, Mont Blanc is now home to this capsule hotel. Designed and built by Italian architects Luca Gentilcore and Stefano Testa, using helicopters to fly in each section, the unique new structure includes living and dining areas, and two sleeping quarters that can accommodate up to twelve people. 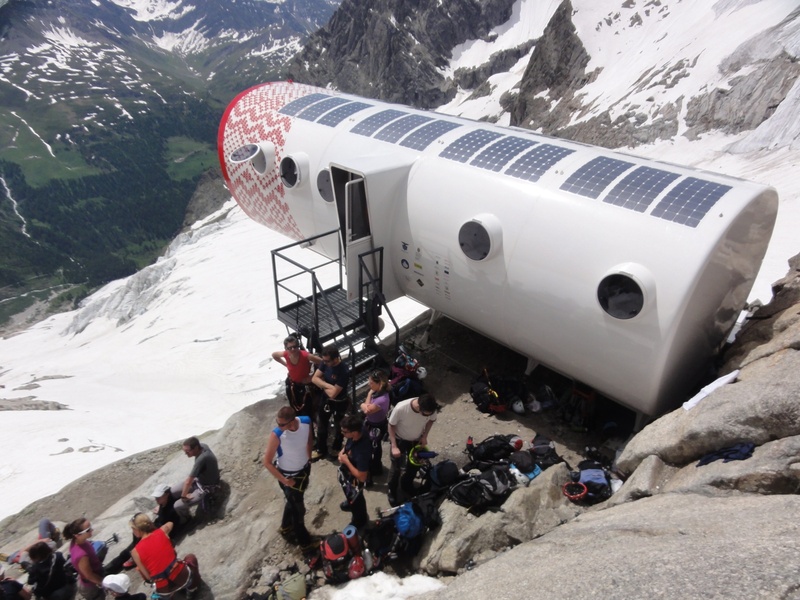 Anyone capable of the challenging ascent from Val Ferret by foot is welcome to visit and stay in the bivouac. 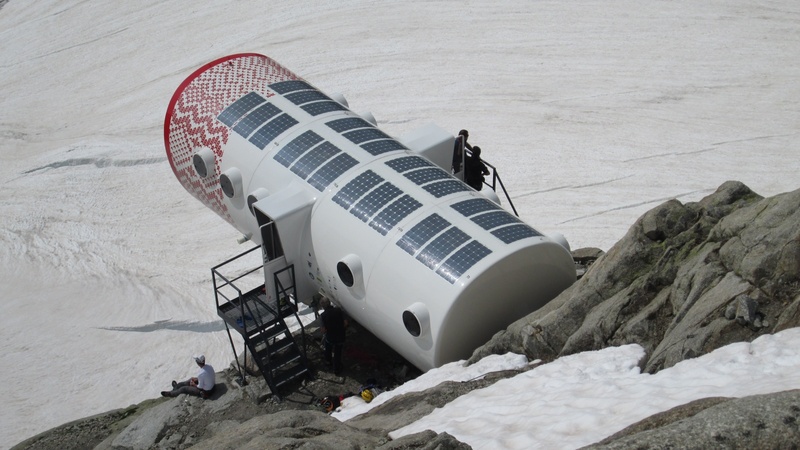 With its solar-powered energy and Internet access, this modern Alpine shelter is a far cry from the old, draughty wooden version.